When the market is peaking as it is now, home owners are feeling quite tempted to cash in. Some houses have seen double-digit appreciation over the last five years. Buyers have gotten so competitive that bidding wars are the norm, and cash offers have become much more common. Is it time for you to sell, too? Making the decision to sell your home (probably your biggest investment) is not to be taken lightly. Before making the leap, here are a few questions you should consider. 1. Is your current home satisfying most of your living needs? This is probably the most important question to ask yourself and your family. Between job transitions, births, graduations, and just general changes in how we live, our home needs can fluctuate drastically in a few years. Are you struggling with finding space for your growing family? Do you find that you have whole rooms in your home devoted to just the cat? Have you acquired a love of BBQing but live in a condo? Has your new job added an hour to your commute time? Have you wanted to sledgehammer open a wall just to feel less claustrophobic? 2. Do you have another place to live? If you already own multiple properties—such as a rental, a vacation home, or city condo where you are willing and able to live—then you’ve won half the battle. However, most people who are considering selling their homes naturally will also become buyers. If that’s the case for you, then you should know where and how to win as a buyer before listing. Do you have the means to buy your new home first before selling? If not, then you may need to consider renting between your home sale and new home purchase. Start with gathering some intel. Look for other neighborhoods where you may want to move. Investigate the schools, transit, and commute times as well as available services or entertainment options. Keep track of where the prices are going in those areas and seek information from your agent on the current market conditions. For all the same reasons that there may be a dozen buyers ready to jump on your home when you list, you may also find it challenging to find and acquire your next home in this market. In short: Look before you list! 3. Do You Have Solid Equity? Most people have to get a mortgage for the next home. Between down payments, moving expenses, fees, and closing costs, you will need to have significant funds ready to buy your next home. If you do not have a 20% down payment, the costs increase, as you will need to pay for mortgage insurance. This is why it’s important to know the potential market value of your current home. Ask your agent to provide you with a Competitive Market Analysis for your home and an estimate of your proceeds from the sale, including the cost to sell. Then do the math. Add your profit from the sale of your home plus any savings you have put aside for a future purchase. Subtract the estimated closing costs, moving expenses, etc. Does the difference still leave you with 20% to put toward a purchase? If yes, great! You are in the top tier of buyers in our market. If no, then the answer is less simple. It still may be worthwhile to consider a move but your options on a future purchase may be slightly more limited. 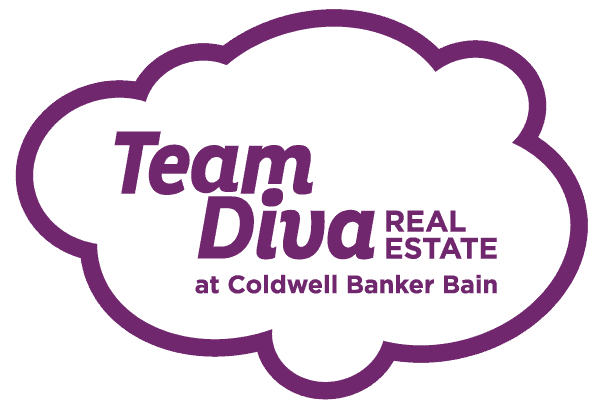 Part of the Diva Difference is our knack for making cost-effective modifications to a home before selling. Naturally, some houses require more work than others, but there is always a right way and wrong way get your home “show ready.” You need to fix what’s broken so it doesn’t fail inspection, and give it the right cosmetic touches to make buyers fall in love. Once again, it helps immensely to have an objective, professional eye in this process. A professional can also help estimate what the costs to get your home ready to show will be, and whether it is worthwhile. Even if your home is not HGTV perfect now, Team Diva can work with you to help get your home from “meh” to “meow” in a just a few weeks. 5. Does This Really Fit Your Budget? We’ve already addressed quite a few budgeting concerns above, but let’s not forget that a new home brings new expenses. Because renovating, selling, buying, and moving all come at a cost, you need to know in advance whether it fits your running budget. Sometimes, your budget will allow it, but you just don’t know it yet. Find our for yourself: Track your expenses (and we mean EVERYTHING) for as long as you can and as diligently as you can. Try it for at least a week. This exercise may change your perspective on how you run your home (and your life), and allow you to save more aggressively. This may be just what you need to make this big decision to list…or not to list. So I Don’t Want to Sell After All, But I Want to Buy Now! What About Renting? If you can afford the step of acquiring a second property without selling, you may want to consider converting your current home into a rental and acquire some regular cash flow. Or Passive Income as the popular financial planners like to call it. With rents rising so rapidly, it’s easy to be blinded by dollar signs. However, before you make the leap from owner to landlord, consider that for some people, those high rents are offsetting big expenses. Study the cash-flow requirements of rental properties in your area before committing. In addition to the mortgage, there are taxes, insurance, and upkeep to consider (That’s assuming that the property is in a condition that is ready to rent. Some may need work in advance.). And you NEED to understand Seattle’s fast moving and changing rental/landlord laws. Even after breaking this process down, you will probably have questions of your own. Having a neutral, professional perspective is important. So just contact us and we will talk you through any improvements that you are thinking of investing in, as well as your home’s current worth and your ultimate Real Estate and investment goals. Contact us to get started. If you have answered “yes” to most of these questions, it may be time to “list it.” Now your next step is to pick up that cell phone and call a Diva. We will work with you to create a plan of action to get you into your new home with the least amount of stress and sells your current home for top dollar. That’s the Diva Difference! You make the call – we’ll bring the Rosè! Give the HQ a call at 206-271-0264 and let’s get the process started for you.